Dodge Archives - Page 3 of 47 - Muscle Cars Zone! 2 People Dead After Dodge HELLCAT Jumps On Ravine At The Top Speed Test! 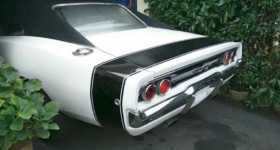 Furious 1968 Dodge Charger Cold Start! 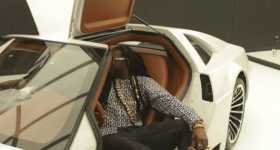 2 Chainz Pays $500,000 For The DeLorean Done By WEST COASTS CUSTOMS! Top 10 Forgotten Muscle Cars Worth Taking Another Look At! Check out the list of the top 10 forgotten muscle cars that definitely deserve a comeback! The Dodge M4S Turbo Interceptor From “The Wraith” MOVIE Still Looks AMAZING! Do you remember the movie “The Wraith” with the Dodge M4S Turbo Interceptor from your childhood or since the time when you were young? 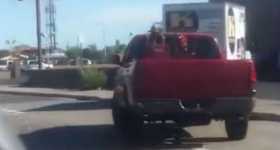 The ULTIMATE Prank Will Make You Laugh So Hard! 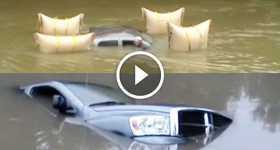 This Dodge Submerged Truck Is Rescued From Its Watery Grave! 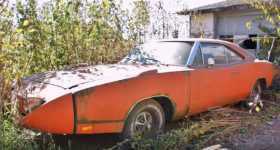 Amazing Barn Find – the LEGENDARY 1969 Dodge Charger Daytona! Another amazing barn find for one lucky guy! “Bullitt” Movie Car Chase Scene! Mustang vs Charger at San Francisco! PROSPEED Viper Puts Down 1900WHP & Huge Fireballs On The Dyno!